Is Your Automated Application Safe? Serious workplace injuries are far too common. In 2015, 4,836 workers were killed on the job*. There was also around 3.0 workplace incidents recorded per 100 employees in 2015. Electrical Control Panels are designed to help with the prevention of some of these incidents, simplify processes and increase workplace safety. Learn how our electrical control panels may control your applications while keeping your employees and work space safe. Curious what the Top 10 most frequently sited OSHA standards violated in 2016 were and if you might be at risk? 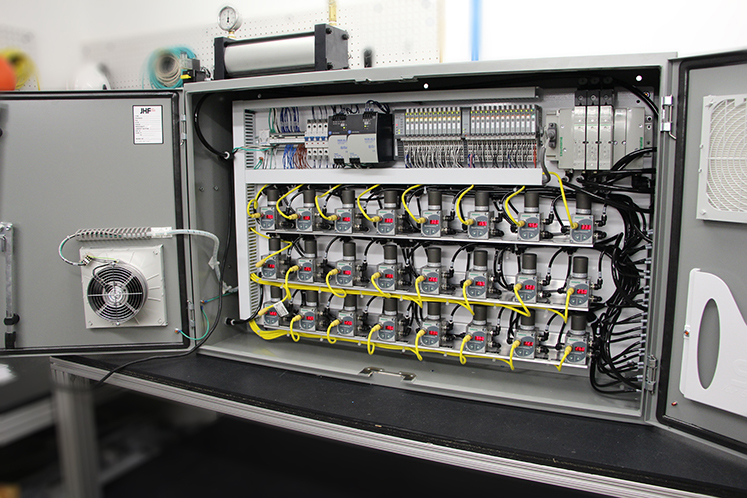 Safety components are just one element of the benefits electrical control panels provide. Below are some ways electrical panels can support prevention in the workplace. We see common hazards when it comes to unsafe applications in today’s workplace. Just one element to our electrical control panels is safety. Not only do we pursue and demand excellence in this area, but being an industry leader in electrical panel design allows us to utilize our pneumatic and electrical safety components and troubleshoot ways we can help our customers prevent injuries, simplify processes and work on workplace safety prevention. Download our catalog of safety products that are available for assembly or to order one item ready to install, under one purchase order or in addition with an electronic control panel – meant to help you focus your efforts on improving labor productivity, reducing labor costs, improving product quality and creating a safer work environment. John Henry Foster’s goal of providing innovative and state-of-the-art products continues to expand and now includes a range of industrial robots. Our team of experts are positioned to support your productivity and efficiency needs with this versatile product. Please contact us today at 651.452.8452 or email us to learn more about this or any of our product offerings. You can also read more about electrical panels and controls on our website.